Agreement with Russia's NPCS allows the international payment operator to continue working in the country. On Jan. 12, the Russian Central Bank announced that the country’s new National Payment System (NPCS) and MasterCard signed a contract on Dec. 30 permitting the NPCS processing center to clear MasterCard transactions in Russia. “The conclusion of this agreement enables us to gradually transfer Russian domestic MasterCard card transactions to NPCS processing,” the Central Bank said in a statement. MasterCard for its part attributed the move to Russian legislation enacted last year requiring the transition to a new processing system. “We are doing everything required of us to ensure that this new form of work develops as smoothly as possible for all the parties involved. These changes will not affect cardholders in any way,” the company said in a statement. MasterCard is the first international payment system to sign an agreement with NPCS. Visa is currently working with the Central Bank and the NPCS to reach an agreement acceptable. The need to create a new way for international payment systems to operate in Russia arose last March, when Visa and MasterCard stopped servicing a number of Russian banks due to U.S. sanctions against several Russian financial institutions. In October, State Duma deputies made amendments to the national payment system law, which stipulated that international players must either work through the NPCS or make a security deposit at the Central Bank. It is still unclear how commercial relationships will be organized and how liability will be distributed between the parties to the agreement. According to a source familiar with the negotiations, the contract says that banks can submit any claims for non-payment directly to the NPCS instead of the payment system itself. 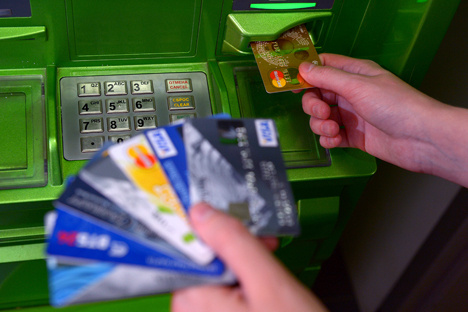 While this is a change from standard international payment system practices under which the payment system is responsible for charges, this rule will enable NPCS to create its own Russian national payment system in the future, according to a Kommersant source. “This agreement is a recognition by the international payment system of serious plans to build a national card system in Russia. However, the most important thing is that this process has not stalled servicing by foreign systems. We can’t speak of success until we get our own competitive payment tool,” said Alma Obaeva, head of the National Payment Council. This story has been abridged from the original Russian version, which appeared in Kommersant.